Moroccan Kilim Rug from the High Atlas Mountains in gorgeous Moroccan colors. Pure Wool, Handwoven and hand-embroidered. 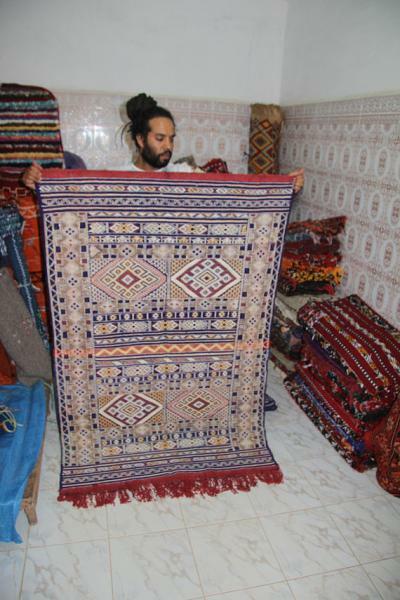 it was weaved before 1998 as the berber women said it was a gift for a bride in small village called Taddart, located in the region of Marrakech. This is a unique piece, only 1 is available.